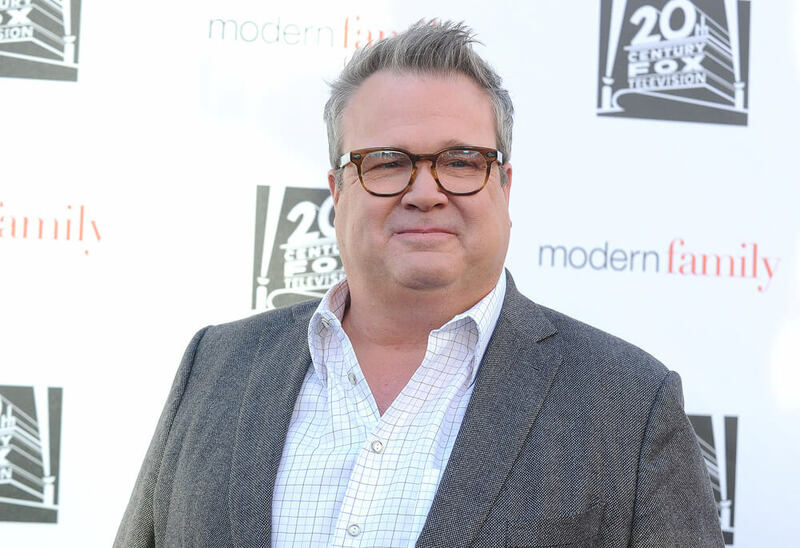 Modern Family was critically acclaimed when it premiered in 2009 and since then has won multiple accolades and has become one of the biggest television shows in America since Friends. 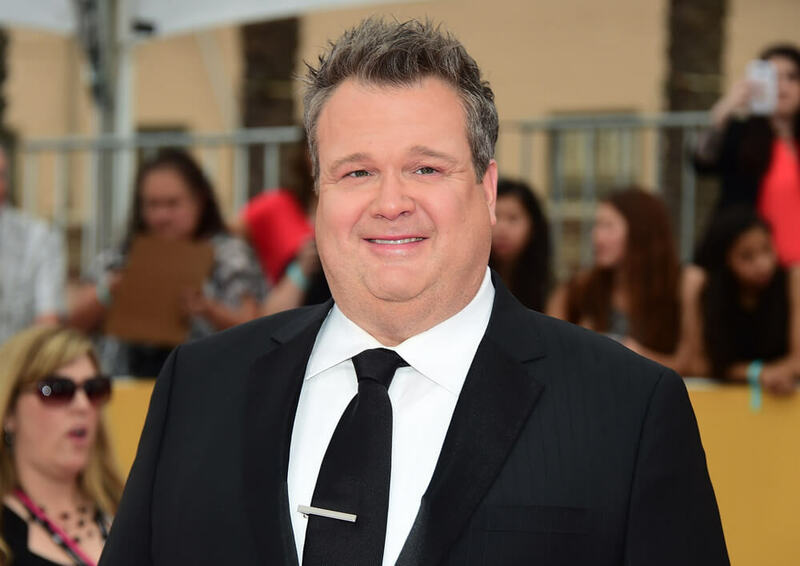 In early 2018, the show’s creators announced that Modern Family’s tenth season would most likely be its last, so let’s take a look back at what made Modern Family a breakout success! How do they come up with these crazy plots? Let’s find out! Modern Family is a mockumentary sitcom, a trait that makes the show extra engaging, but this wasn’t the intended plan. Modern Family was originally conceived as a documentary by a Dutch filmmaker named Geert Floorjte who lived with the Pritchetts as a teenage exchange student and returned to the U.S. as an adult to film them. However, show creators Christopher Lloyd and Steven Levitan eventually decided Floortje was unnecessary and he was cut before the show went into production. Keep reading to see where the creators got their inspiration from! Julie Bowen, who plays Claire Dunphy, was pregnant when she was auditioning for the show and was certain that that would prevent her from being cast. “I was pregnant with twins and I kept thinking they weren’t going to hire me. They kept bringing me in over and over and sort of starting at my humongous belly, and I thought, ‘I’m never getting this job,'” she told People in 2015. Fortunately, she still landed the role but by the time they filmed the pilot, Bowen was eight-and-a-half months pregnant so they had to hide her bump with strategically placed cereal boxes and loads of laundry. If you’ve ever thought that Modern Family was so relatable, that’s probably because the creators, Christopher Lloyd and Steven Levitan, based the show off their own family experiences. While trying to come up with ideas for other shows, Lloyd and Levitan would often talk about their personal lives and realized that they had enough material for a show. In the pilot episode, Phil shoots Luke with his own BB gun after Luke hurts his sister with it. This actually happened to Levitan, who gave his son a BB gun but promised him that if he ever shot anyone with it, he would shoot him with it himself. When that time came, Levitan had to follow through. The show may be based on real life, but can the actors say the same for their characters? 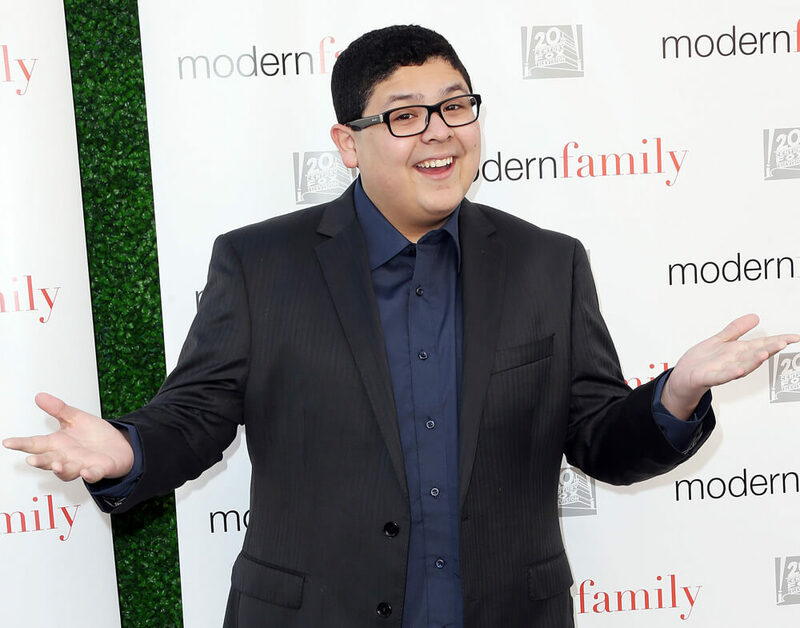 The Modern Family creators were inspired by stories from the actors’ personal lives as well. In the show, Mitchell struggles to have a close relationship with his father, Jay. 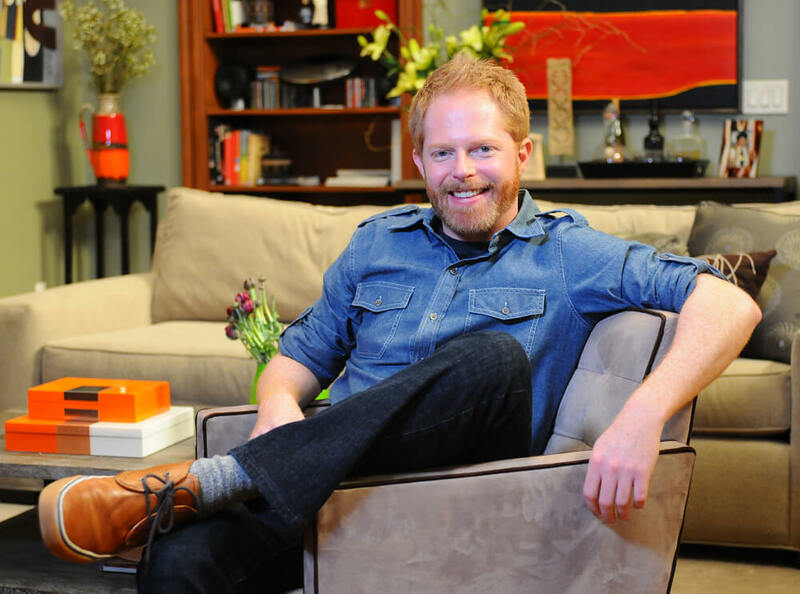 It is revealed that Mitchell had to come out to Jay three times before Jay finally took him seriously, which is what Jesse Tyler Ferguson, who plays Mitchell, actually had to go through with his own father when he was growing up. “It was a process for him as well, it was sort of a coming out process and you have to figure out how to deal with having a son that wasn’t the ideal son that he had,” Ferguson told Oprah in 2013. 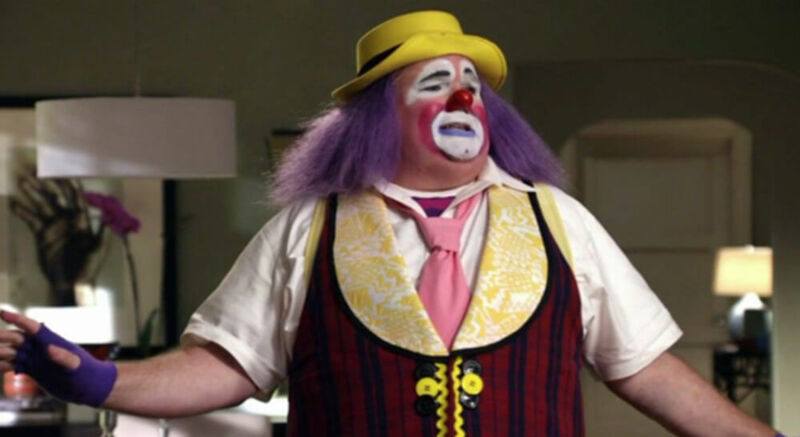 In the show, Cam Tucker is a retired clown with classical training, but often revives his persona of Fizbo the Clown, which actually comes from actor Eric Stonestreet’s real life. “When I was a kid, I wanted to be a clown in the circus… It was my way then as a young man to express my desire to entertain and perform. I didn’t know what I was saying then was that I wanted to be an actor,” Stonestreet told Kansas City Star. Encouraged by his parents, Stonestreet’s grandma made all his costumes and he even made money performing at birthday parties. The cast of Modern Family won the Screen Actors Guild Award for Outstanding Performance by an Ensemble in a Comedy Series for four consecutive years, while each of the actors has individually been nominated throughout the years for Best Supporting Actor or Actress awards at the Golden Globes — never a lead role. 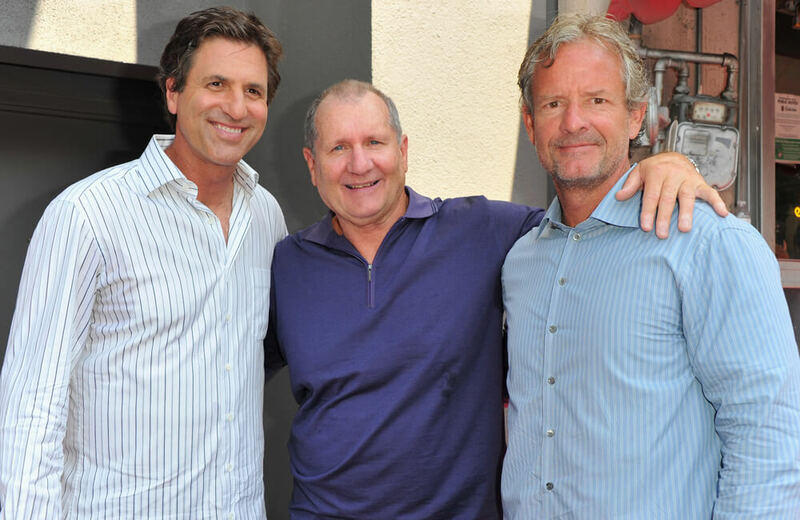 When Ed O’Neill — the most veteran TV star in the cast — submitted himself for Emmy consideration in the Supporting Actor category in 2010, Deadline reported that “he felt nobody is bigger than anybody else in a show that is evolving into a true ensemble hit.” The cast made a pact in Season One that they would always submit themselves as supporting actors. 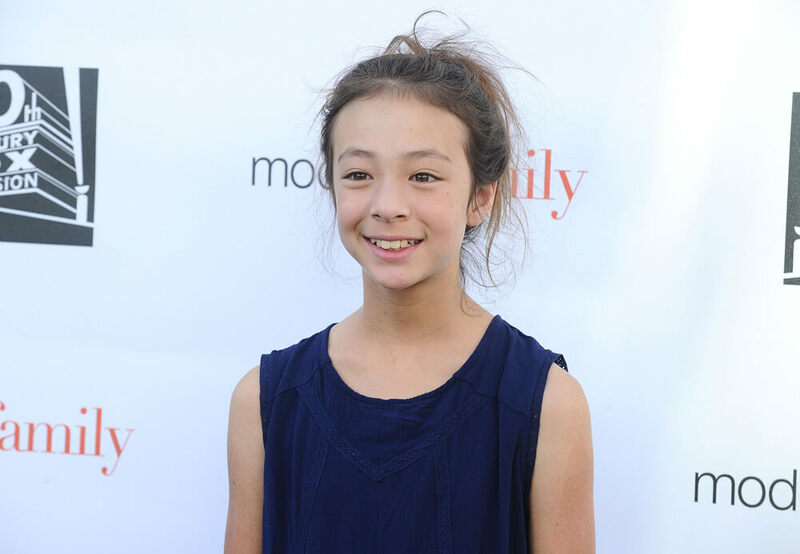 Aubrey Anderson-Emmons wasn’t the first actress to play Lily on Modern Family. Anderson-Emmons didn’t even join the cast until season three and Lily didn’t need to speak in the first two seasons since she was a baby. Before that, Lily was portrayed by twins Ella and Jaden Hiller until their parents pulled them off the show. “Halfway through season two their personalities had started to develop, and it was really clear to us that they weren’t enjoying their time on set. So we told the producers the girls wouldn’t be coming back,” the twins’ mother told Woman’s Day in 2012. 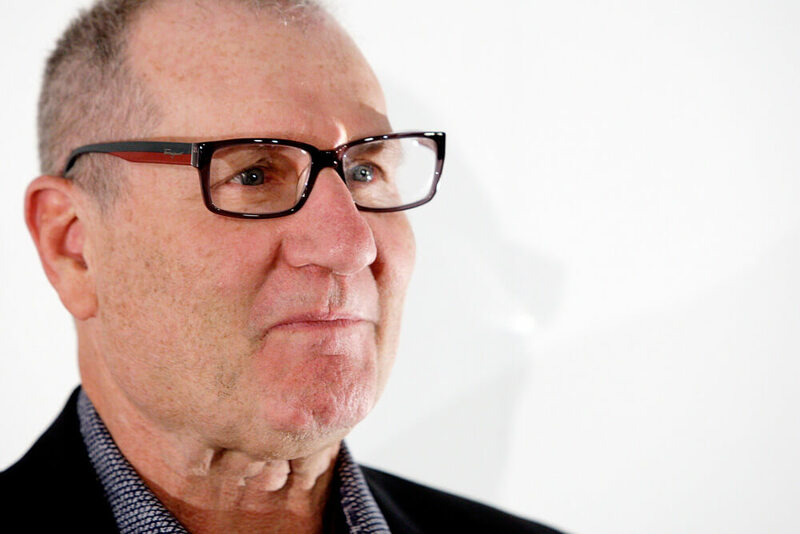 Only television fans with keen eyes would have noticed that Ed O’Neill has been reading the same newspaper for nearly 20 years now. Fans have pointed out that the paper Jay Pritchett reads on Modern Family is the same exact one Al Bundy read on Married… with Children. This is because the articles and photos on the prop newspaper have already been cleared for legal use on television shows. Hollywood apparently hasn’t bothered making a new one, since you can also see the same paper on shows like Louie. While Modern Family has definitely been touted for its progressive portrayal of a “modern family” by having a gay couple, early on fans were quick to notice the lack of affection between Mitchell and Cam on the show. In 2010, there was an aggressive Facebook campaign to get the show’s producers to have the characters kiss to make the show more realistic and normal. Eventually, the fans were given what they wanted when Cam and Mitchell were shown to kiss in the background of a scene. This apparently had to do with the character Mitchell’s discomfort with PDA, rather than the public’s discomfort with seeing a gay couple kiss. 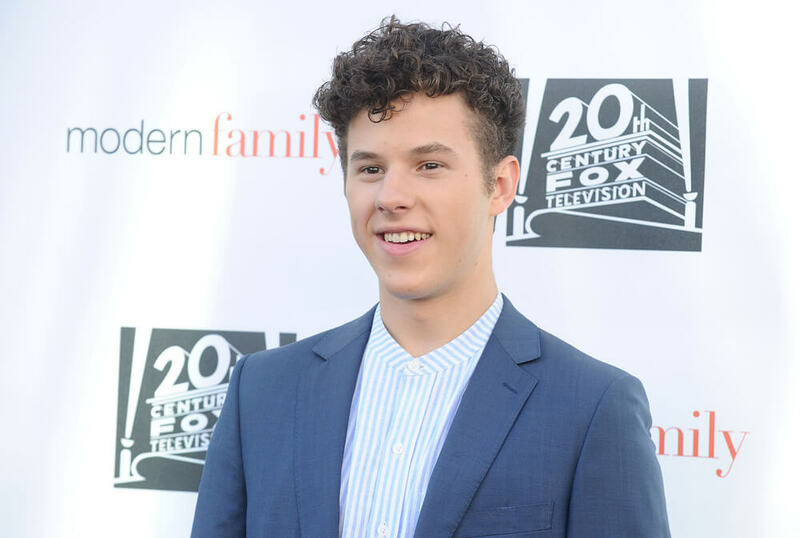 Keep reading to see how one actor nailed his audition! You’ve lived with these characters for almost ten years, but would you like to see them change? One actor doesn’t think so! Julie Bowen stars in Modern Family as Claire Dunphy, the first-born and only daughter of Jay and wife to Phil. Claire is a helicopter soccer mom of three, who later in the series re-enters the workforce after she realizes her kids don’t need her as much. 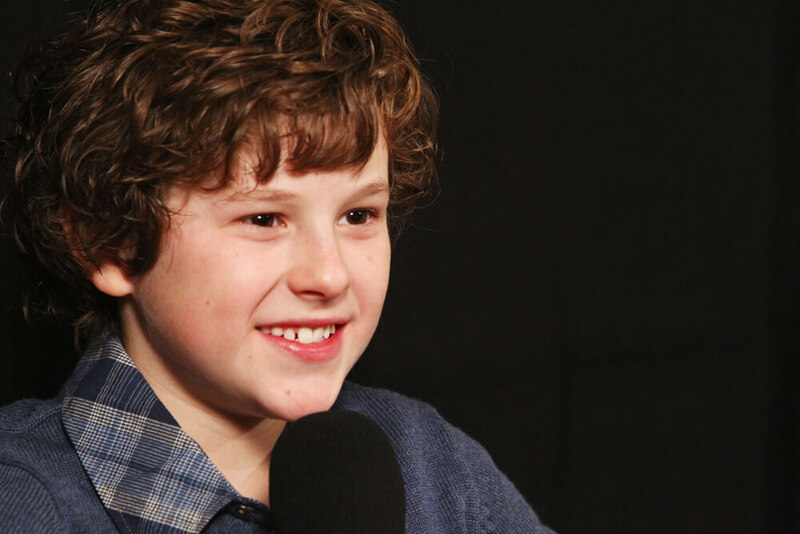 As a mother of three boys in real life, Bowen has said that she is very much like her character, Claire. “I am wildly multitasking… I believe if you are sitting still you are doing something wrong. We both feel if we are not driving the train, it will never leave the station. It is an incredible amount of arrogance on my part thinking that no one could operate without me,” Bowen told Zap2It. 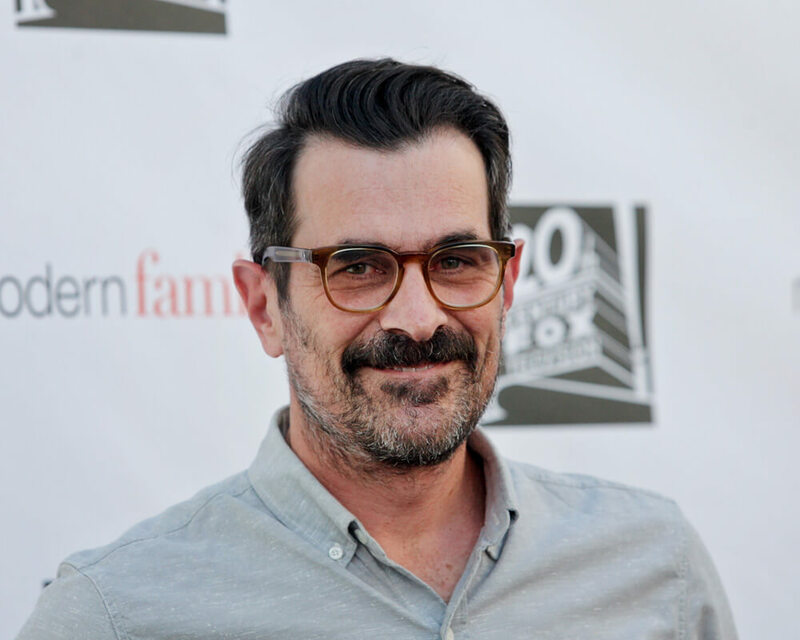 Ty Burrell plays Phil Dunphy, Claire’s husband and a self-proclaimed “cool dad” to their three kids. 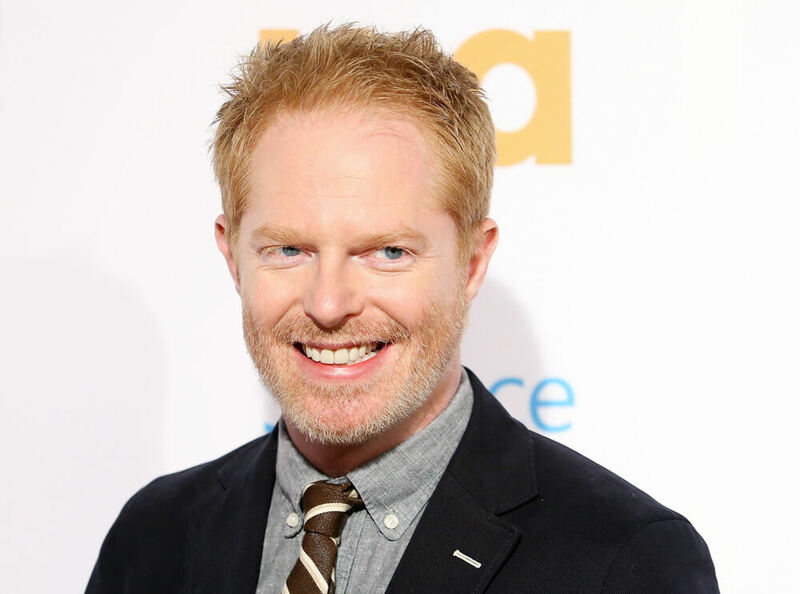 Although he means well, he is often the most calamity-prone character on the show as he tries to bond with his kids or accelerate his job as a realtor. “[Phil’s] just such a well-intended person and guileless. I really aspire to that. I like him so much. [He’s] such a wonderful person to roll out of bed and play every day. It feels good going to work. It can be really fun playing a villain [which Burrell has often done aside from Modern Family] because you get to say things you never get to say in reality. But it’s harder,” Burrell told Independent in 2014. Ariel Winter plays Alex Dunphy on Modern Family. As the middle child in the Dunphy family, Alex is the stereotypical nerd, who cares more about overachieving in school than having a social life or boyfriends (although this changes as the series progresses). In 2013, Winter told Teen Vogue, “Alex and I definitely have similar traits… We’re both snarky, and we both value education. She makes it OK for girls to want to be smart.” The biggest difference between her and her character, Winter says, is their fashion sense. While Alex dresses like a tomboy, recently Winter has been making headlines for confidently going out in public in provocative outfits. In season four, Gloria gave birth to a son, Fulgencio Joseph Pritchett. Simply known as Joe, he became the half-brother of Claire, Mitchell, and Manny. With Joe’s introduction into the show, Lily was no longer the baby of the cast. While Joe was still a baby, he was played by an uncredited set of twins and later by Pierce Wallace. 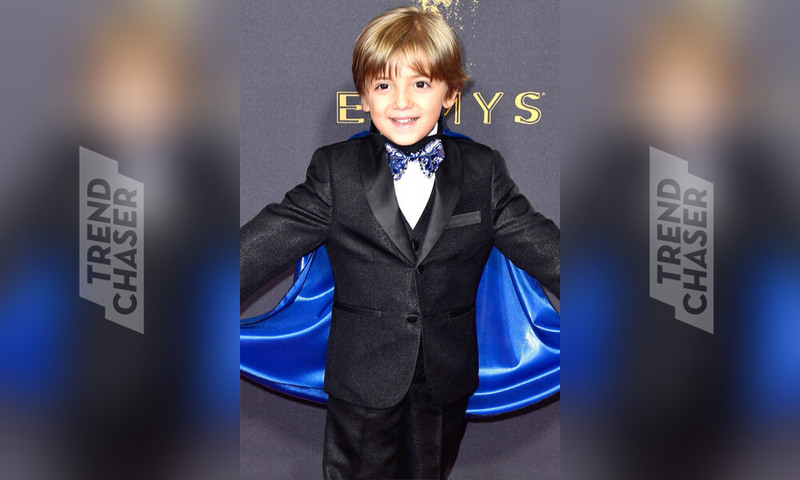 Joe was recast after Season Six and is now played by child actor Jeremy Maguire, who last made headlines in September 2017 for his adorable appearance on the Emmys red carpet, where he sported a three-piece suit with a playful blue cape.